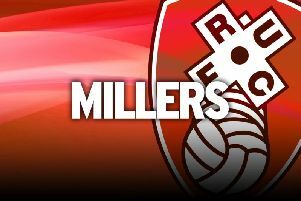 Rotherham boss Paul Warne has let his players jet off for the weekend after a hard week of work on the training ground. The Millers' campaign has been put on hold for the opening international break of the campaign and Warne has made use of the first half of the two-week hiatus. There was plenty to work on, with Warne's men winning two and losing four of their first six Championship games, and an eye-watering run of fixtures coming up following the resumption. Derby are the visitors on September 15 before back-to-back away games at Aston Villa and Nottingham Forest, before ending the month with a televised visit of Stoke. “If you lose game, I'd be an idiot to say there is nothing to improve, there is clearly something to improve,” Warne said. His squad are cashing in on their long weekend off as Richie Towell is back in Ireland, Ryan Williams has gone to Majorca and Jamie Proctor is in Spain. Semi Ajayi's destination is the most glamorous of all, though he is not on a break as he hopes for an international debut for Nigeria. The Super Eagles are in Seychelles ahead of their Africa Cup of Nations qualifier on Saturday, with Ajayi getting his maiden call. One man who will not be travelling this weekend is Sean Raggett as he prepares to go under the knife on Monday. The Norwich loanee has been ruled out for two months with an ankle and knee injury and Warne is hoping for an early Christmas present. “He’s having an operation so he's going to be out for a few months but hopefully we'll get him back this side of Christmas,” he said. “It is a bit of a blow because he's been performing well and he's really settled down well at the club.